Baby Cambridge leaves hospital Jump to media player The Duke and Duchess of Cambridge have left hospital with their son, one day after he was born. 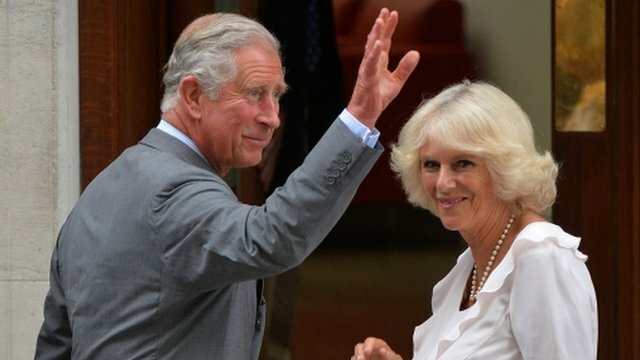 Charles and Camilla visit baby Jump to media player Prince Charles has visited the Duke and Duchess of Cambridge and his new grandson in hospital. 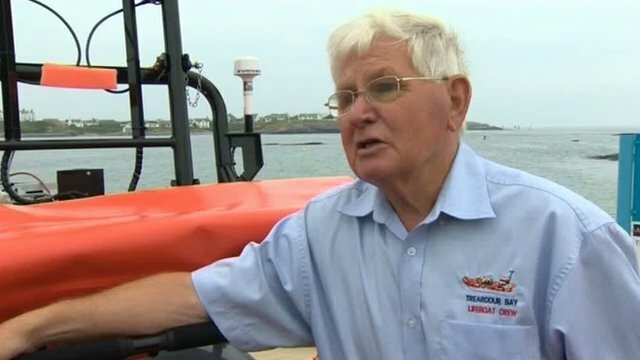 RNLI team send baby congratulations Jump to media player The RNLI lifeboat team at Trearddur Bay on Anglesey congratulate the Duke and Duchess of Cambridge on the birth of their son, two years after the royal couple named the station's new lifeboat. 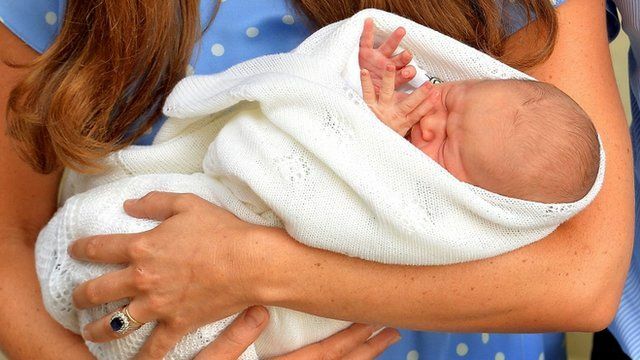 Bucklebury residents delighted for Kate Jump to media player The residents of the Duchess of Cambridge's home village of Bucklebury express their joy at the birth of her son. 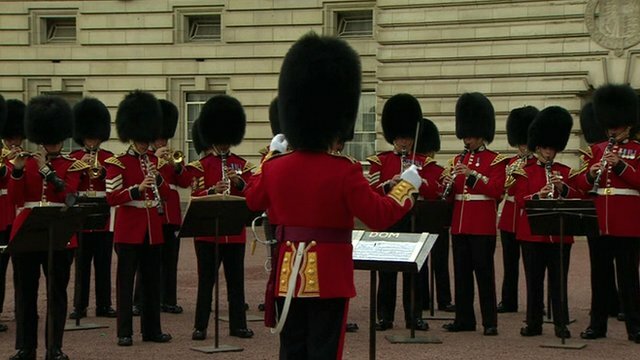 Guardsmen play 'Congratulations' Jump to media player Guardsmen have played 'Congratulations' to mark the arrival of the Duke and Duchess of Cambridge's baby son, ahead of the Changing of the Guard. 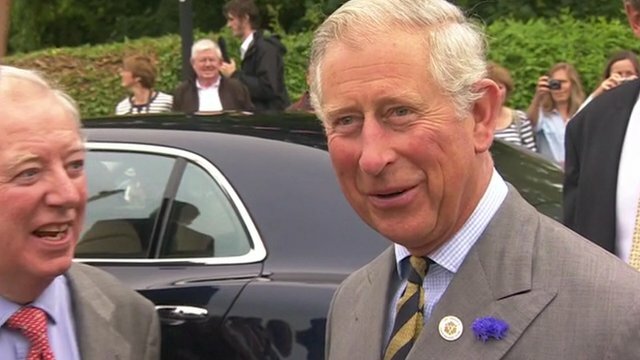 Grandad Charles 'thrilled' by baby Jump to media player Prince Charles said he was "thrilled" by the birth of the royal baby, during a visit to Bugthorpe in East Yorkshire on Tuesday. Prince William and Catherine emerged from St Mary's Hospital in Paddington, West London at 19:13 BST, giving the waiting media and the world their first glimpse of the future king. Addressing crowds outside, Prince William said his son had his wife's "looks" and "a good pair of lungs".